No sewing at all involved in today's showcased tutorial, but I can guarantee you'll use them all the time in your sewing room if you make some. I know I would!!! 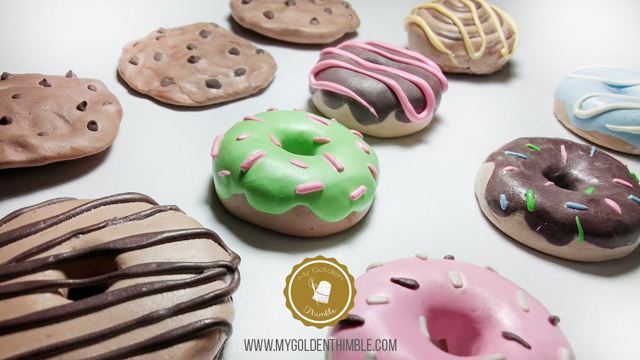 Dafhtne shows how to make pattern weights that look like donuts and chocolate cookies, and it looks surprisingly easy. The detailed instructions will step you through the process. Those look good enough to eat! !